What's On This Summer At Liverpool 1? Home Lifestyle What’s On This Summer At Liverpool 1? The school summer holidays start this week and with it the pressure of having to fill 6 weeks with activities to keep everyone entertained. The sun may well be shining right now and time is best spent outside enjoying the glorious weather, however what activities are available when it rains? If you are North West based then no doubt you will be fully prepared for any change in the weather, but it’s always great to know of centres that offer so much come rain or shine. 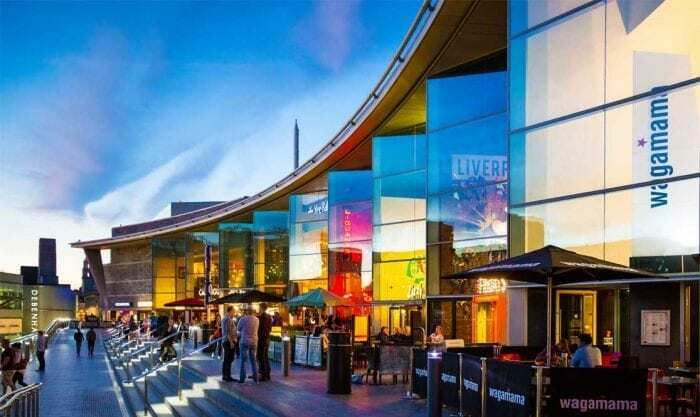 Liverpool 1, obviously located in Liverpool, is a central city based shopping and leisure complex which offers shoppers and diners so much with some covered sections too! What better way to while away the hours by watching a film at the cinema, playing a round of crazy golf and when finished, treating yourselves to a nice meal in one of the many dining options available in the complex? What restaurants can you expect to find at Liverpool 1? There really is something for any appetite, ranging from Byron Burgers, Pizza Express, TGI Fridays, Wagamama, Yard & Coop and more! If you love chicken then I would recommend Yard & Coop, plus the milkshakes are super yummy! You can check out the full restaurant list here. It’s worth checking out the Liverpool 1 Facebook page to keep updated on restaurant offers as well as general offers available in the complex. Liverpool 1 have some fun filled events available to families over the summer at the connected park including free activities: table tennis, artistic gymnastic and 100m running track. Paid activities such as the football challenge and bungee trampolines are also available in the Summer of Sport 2017, inspired by Liverpool’s Commonwealth 2022 bid. You can check out the full sporting schedule alongside other events taking place here . Will you be heading down to Liverpool 1 this summer? WOW, lots of fun things going on this summer. Bungee Trampoline???? ?